2012 was a year of hyper-growth for HootSuite. We more than doubled our user base and nearly tripled our Owl headcount. We finished off 2012 by blowing out our App Directory’s 1st birthday candle, but the gift was for you. To keep you ‘App-y, we closed the year with 44 social applications. And, from launching HootSuite Teams and Conversations to social media command center’s powered by HootSuite, our ever-expanding toolbox helps you effectively manage and scale your growing social media needs. Looking to build your presence on Google+? This year, HootSuite extended Google+ Pages functionality to all users. For all you content-sharing-lovers out there, we’ve also added the AutoSchedule functionality for HootLet, making content sharing even easier. As we continue on our growth-spurt, we collect more of the world’s top brands on our customer list. This year, among other top global brands, United Nations – UNICEF, Airbnb Inc., CBS Interactive Inc., McDonald’s Corporation, Virgin and IKEA chose HootSuite to enhance their social campaigns. HootSuite CEO Ryan Holmes was chosen to be a ‘LinkedIn Influencer’ this year, and with good reason. Holmes was featured in several articles in Fast Company, including social media trends for 2013 and in Harvard Business Review for discussions weighing in on social compliance. Don’t miss his Forbes feature on 5 ways social will change your job in 2013. 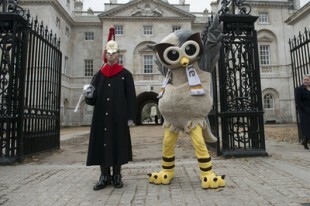 But let’s break it down and look back at HootSuite 2012’s top moments. In January, we celebrated the milestone of reaching 3 Million HootSuite users and launched our popular Higher Education Program. With the ever-increasing demand for social media skills, HootSuite University created this program with Syracuse University to provide their professors and students access to tools for social success. This spring, HootSuite was in full bloom. February saw the launch of our Solution Partners Program, and since then we’ve welcomed a number of HootSuite Solution Partners for Pro and Enterprise. These service providers are armed with much HootSuite knowledge, so if you get a chance to learn from them, take it! 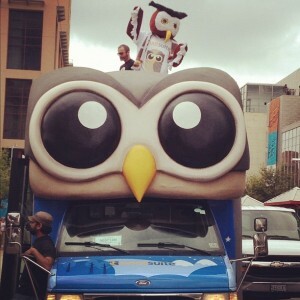 In March, we packed up the HootBus and made the pilgrimage down to SXSW. Not only did we return with hoarse voices and awesome stories, but we received mega press. From Wall Street Journal and Mashable to Vancouver Sun, this trip put us on the SX map. At SXSW, we announced updates for HootSuite Mobile, sprucing up our features for improved functionality for iPhone, Android, Blackberry and strawberry. In May we unleashed: HootSuite Teams. Designed to match any unique organization structure, Teams functionality empowers your social teams to engage effectively both internally and externally. With summer just around the corner, we hit yet another milestone in June: 1 billion messages sent and 4 million users. What do we treasure most about our users? They are influential, engaged and active across multiple social networks. Hootie Hoo! Expanding our reign of owls, on July 16th we opened the doors to our first European office. London, UK was our first stop for European growth because of the city’s wealth of digital agencies, strong infrastructure for upcoming tech companies. And, back when the sun was the strongest, we released HootLet with AutoSchedule to pick the optimal Tweet time for your social audience. This September, we unleashed our ultimate Teams collaboration weapon: HootSuite Conversations. This all-encompassing internal tool simplifies authentic, real-time communication. “Amplify” your social both internally and externally and share in a real-time social content library. Let the convos begin. Earlier in September, HootSuite acquired Seesmic, a cross-platform application and major player and playful competitor. On October 12, HootSuite reached 5 million users and 1.3 billion sent messages. The first million took nearly two years and the fifth million took just five months. Boom. Fueled by listening to your requests, HootSuite Community has hosted over 100 HootUps, assigned Ambassadors around the globe, translated our tools into 20 languages and offered regional apps. 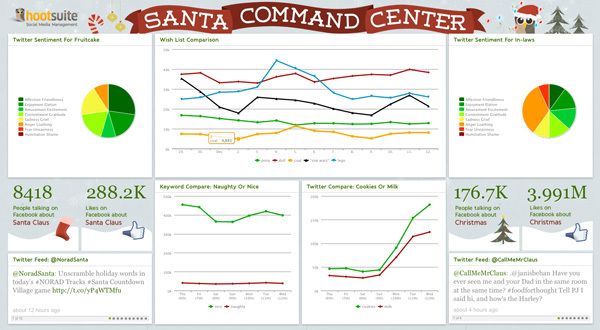 On October 16, HootSuite Enterprise launched another game-changer: HootSuite Command Center. This robust, multi-platform solution delivers real-time command and control of Enterprise social initiatives from one central hub. Think NASA’s Mission Control, but for social media management. ‘App-y 1st Birthday HootSuite App Directory. This November, our App Directory turned one year old, and it continues to grow as it expands as a platform. Born on November 9th, 2011 with four apps: YouTube, Tumblr, Flickr, and Get Satisfaction, the Pac-Man, I mean platform has since grown to 44 apps. From Instagram, Yammer, Evernote, MailChimp, StumbleUpon, SlideShare, to reddit and more, discover an expansive collection of tools for your success. Our Facebook tools for HootSuite got a whole lot smarter this Fall. We released the ultimate batch of improvements to our Facebook toolset, including enhanced features for Enterprise, such as enhanced demographic targeting, geo-fencing profiles and new analytics modules. And let’s not forget about the epic U.S. Presidential Elections, for which we created the Election Command Center to track the progress of what we unofficially dubbed “the social media race.” Does more social media mentions with positive sentiment win elections? Perhaps not, but Obama was able to win both handily. To prepare for this year’s holiday season, we’ve gathered our top resources to create the ultimate Santa command center. Why does Santa need a command center? Well, he can monitor and track keywords to see who’s been naughty or nice, find out which products are trending and track the overall Christmas spirit and sentiment, via keywords. 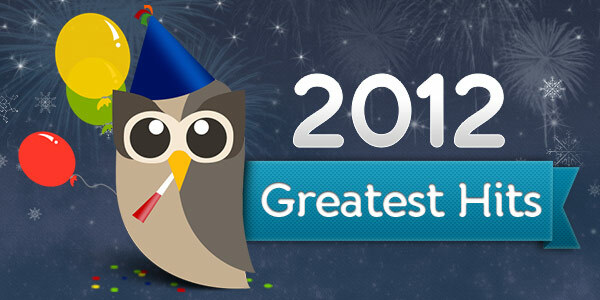 Now that we’ve looked at a year in HootSuite, check out the top Twitter Trends of 2012.